Copying files from one location to another on our desktops or laptops is a mundane activity that we all do on a daily basis. All we need to do is to right click on the file, select “copy”, go to the desired location where we want to paste it, right-click again, and select the “paste” option. A much easier option is to simply drag and drop the file to the desired location and it gets copied automatically. However, this native process in Windows is good until it’s a small file. 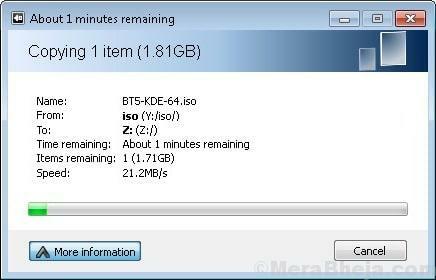 For larger files and for batch process it’s relatively slower and consumes a lot of your time. 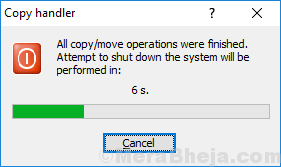 So, how do we speed up the copy & paste procedure for larger files? There are many third-party applications these days that help move files from one location to another on Windows much faster. Here we have handpicked some of the best file copy software for Windows 10 that can save a lot of your time. You get an extraordinary control on copying files and even transferring with FastCopy. The program is available to download for free and comes with an amazingly elemental display which is almost cleared from the binary code. The narrations and preferences are pretty simple that help you to choose the file you want to copy to a specific location, easily. Once you have selected the file, you can find a lot of options packed on the loaded screen. While you can adjust the copy speed, you can also add and remove filters. Moreover, you can also find the ACL and Alstream options for your convenience. The best part is, the copying process is pretty fast and efficient and finishes with a clear explanation along with the transfer. The details include file totals, tallying MBS, and more. Overall, the software is best for the batch copy process that otherwise slows down your computer. Copy Handler is another from the list of the best file copy software for Windows that’s free and open source. It offers a fast solution and comes loaded with features. As a bonus, it can also be customized. It offers complete control over the copy and transfer process with functions like pause, resume, restart, and cancel options. The program is relatively faster compared to the Windows copy function. Best of all, it does not clog the Windows file cache as the files are used just once. With more than 60 configuration choices, it is completely configurable. Moreover, it offers support for several languages with complete support for English and Polish languages. Besides, it also offers comprehensive data related to the copy/shift function. What’s more? Queue support, automatic restart of all pending operation after a system reboot, and syncing capability with Windows explorer are among its other major features. Apart from copying or moving files from one location to another, Teracopy also tries to recover any copy error. However, if it fails to recover the error in any case, it simply skips the faulty file, without aborting the complete transfer. Alternatively, it can also hold on for the network or the device to reconnect. It can skip the irrelevant files to cut down the transfer time. It also identifies any errors during the process and enables to solve the issue by copying the affected files again. Once the files are copied, the software authenticates the files to make sure that they are the same by analyzing the hashes of the source and the destination files. CRC32, MD5, SHA-1, SHA-256, SHA-512, Panama, etc. are some of the supported algorithms. In addition, it can also choose to display a confirmation message after every “drag and drop” process. This helps you to avoid moving folders to another location, unintentionally. Best of all, it can save the previously used directories, while showing the folders that are open in the Explorer as well as in the file managers. Ability to export files in HTML and CSV formats, save the actual date and time of the file copying, or deleting any irrelevant files and folders, are among its other significant features. While Ultracopier is known for its fast performance, it also boasts an attractive interface that comes loaded with features and responsive design. This helps you transfer any files to your preferred location. For this, you would need to specify an input and output directory. As the tool is launched, you can view the complete size of the folder and the size of the file that has been recently shifted. In addition, you can also view the complete list of the files and also the order in which these files have been copied. These files can be modified. While you can pause and resume the files anytime, you can also skip specific files or leave the process. If there are no errors detected, the frame shuts down when the process ends. Having said that, you can also make changes to this feature. The software features something called “option” from where you can select the language and even replace the default copy. You can then shift the file to Windows. It also allows you to set the files in a way during the copy process that they retain the actual dates and rights. Among its major features are, pause or play, speed restriction, on-error resume, and error or collision management. Designed especially for Windows, FF Copy is another great file copy software. You can add the file to a transfer queue which you want to copy or shift so that they can be downloaded in order. This helps boosts the speed of the entire process instead of transferring different files or folders at the same time. The software is known for its rapid transfer speed because of the divergent transfers, push parallel transfers if required, pause transfers or resume at any time, allocating disk space in advance to cut down disk fragmentation to zero, status display, and much more. Those looking for a free file copy software for Windows can download KillCopy as a reliable solution. It’s a simple tool that enables you to copy and move files on your system. It comes with added features that improve the entire process. It’s a great alternative to the native Windows copy/move function with two new features in the Context Menu. This allows you to gain control of your files much easier. This further helps you to copy or move one or more files y simply right clicking on them. At the same time, the software displays the progress along with the transfer speed and the remaining time till the operation is towards its end. Moreover, it comes equipped with some usual features like the overwriting, skipping, or renaming functions. The Settings option features some great innate configuration options that help activate the speed restrictions and the buffer size. Besides, you can resume the copying process if it crashes, utilize the read and write lift, activate copy authentication option, and more. As the name suggests, it’s indeed a nice-looking software that works as a great alternative to the built-in Windows Explorer file copy function. It’s a simple and lightweight tool that’s known for its ease of use. It comes with several features like pause, resume, and the ability to estimate the best speed of copying. The primary objective of the software is to optimize the copy arrangement and the GUI. In addition, the program displays all the tasks in a single Window. Here you can mention the number of copy tasks that should be presented in the settings, at a time. To view more tasks, you must scroll down. As a bonus, it creates a task queue as you copy from the drive or to the drive where a task is already going on. PerigeeCopy is one of the best file copy software for Windows 10 that syncs with the Explorer shell extension and allows you to carry out a set of file and folder processes. For instance, it performs the copy, moves, and delete functions. It stands out from the native Windows function with its advanced features, such as the auto-skipping function on errors while performing batch processes, or removing the read-only bit in copy. 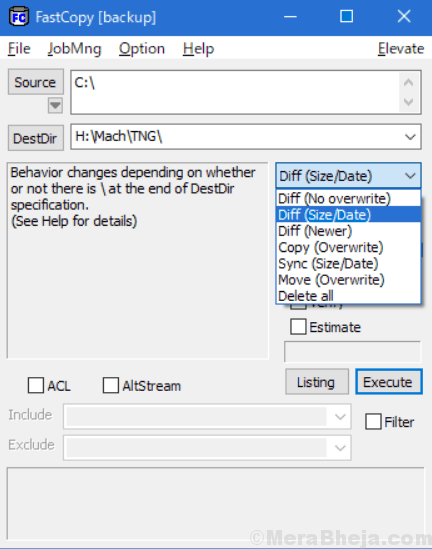 You can simply double-click to use the configuration window and play around with the actions. Moreover, it overwrites newer files, creates exclusive names, and delay the task. Besides, it can also be requested to copy only files and folders using the archive bit set and remove it later. It can also delete the objects once and for all compared to discarding them recycle bin. RichCopy by Microsoft is one of the best file copy software for Windows 10 that enables you to copy more than one files at a time. This helps boost the speed of the process. The software is user-friendly and the installation process is much fast and simple. It features an equally simple and responsive interface. The program is so simple to access that all you need to do is to choose the source destination of the files to be copied along with the transfer destination, and begin with the copy process. Moreover, it logs the time when the copying started. Here you can also check the errors that you might have come across. In addition, batch processing is smooth. In addition to copy/move files to the destination on your system, Unstoppable Copier also helps retrieve files from disk with any physical damage. It allows you to copy files from infected disks, for instance, the ones with scratches, with errors, or bad sectors. It tries to retrieve all readable pieces of the file and assembles the pieces together. It can also be used as a regular backup system with the help of its batch mode functions. It can also store a list of transfers to a file and then execute it from the command line that helps carry out the same bunch of transfers on a daily basis. And, all this takes place without the need to use the GUI. It’s compatible with command line criteria that enables the software to function from scripts. This helps the program to sync with the daily server tasks. Copying or moving files from one destination to another on a system is a daily task. Hence, we need reliable software to carry out batch processes smoothly, even for larger files. Make a choice from the above list of the best file copy software for Windows 10 and speed up your copy/move function. EaseUS Disk Copy is one of the best file copy software for Windows 10 using which you can copy one HDD/SD to another location easily. The best part is, during the process, there’s no loss of data. It’s equally beneficial for businesses by helping you get a complete copy of business data. It helps you copy data from one location to another, safely. Moreover, you can also upgrade backdated disks to the latest ones, and even disks with limited space to disks with larger space. It also allows you to move data, change a defective disk to a new one, and retrieve all lost data. Copying the operating system to a fresh hard drive creating a backup is another great feature. In addition, you can assemble several computers using the same settings, and can also build CD/DVD/USB (bootable) creating a duplicate disk in case the system crashes. Price: free trial available; the pro version starts from $19.90. If you are looking for a free file copy software, then ExtremeCopy standard can be a great option. It’s one of the fastest programs that helps you copy the files much faster. It boosts the speed of copying and also the resource base on the destination computer making it as fast as possible that includes the big files. It has the ability to increase the speed by upto 120% compared to the Explorer’s built-in copy function. The software can also authenticate the target data by source data after the copying process is completed. It seamlessly syncs with Windows Explorer automatically once it’s installed. You can continue with the copy and paste process normally and the program will launch when required. The copy process can also be paused or resumed when needed, and the pending time is calculated and shown accurately. Besides, it supports multiple languages.